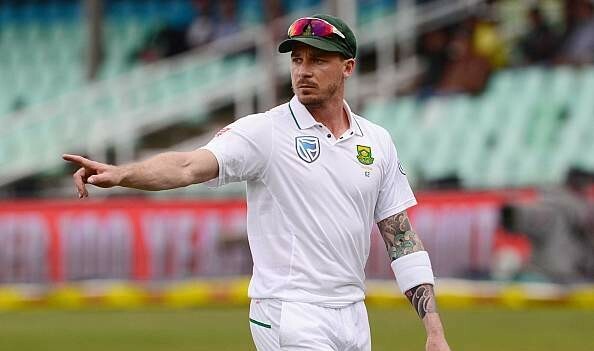 PRETORIA : Firebrand fast bowler Dale Steyn will seek to become South Africa’s greatest wicket-taker in Tests when they take on Pakistan in the first match of a three-game series at Centurion Park in Pretoria on Wednesday. Steyn is level with former all-rounder Shaun Pollock on 421 Test wickets and, having played only six Tests in the last three years due to injury, has been left tantalisingly close to capturing the outright top spot on the list for some time. With injuries to seamers Vernon Philander and Lungi Ngidi, Steyn is likely to be given the new ball against Pakistan along with Kagiso Rabada on what is expected to be a lively wicket in Pretoria. He will test the visiting batsman having returned to his express pace of old in recent limited-overs contests, where he impressed against Australia last month. Captain Faf du Plessis told reporters this week that Steyn was the country’s greatest fast bowler and suggested that while the 2019 Cricket World Cup might be his limited-overs swansong, he still had a good few years of Test cricket in him. The loss of Philander, in particular, will add extra workload for Steyn, who is by far the most experienced seamer in the team, though the world’s leading Test bowler, Rabada, could be the main threat. Coach Ottis Gibson and Du Plessis will have to decide whether to play three seamers, with Duanne Olivier in line for a sixth test appearance, and spinner Keshav Maharaj, allowing them to field an extra batsman, or hand a first cap to Dane Paterson. The latter option would give the team a long tail with Rabada having to bat at number seven, a role he has never played before. There was a welcome return to form for stalwart stroke-maker Hashim Amla in domestic four-day cricket this week, with just a single half-century in his last 12 test innings having raised some questions about the future of the 35-year-old. 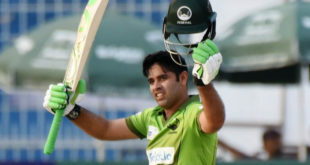 His excellent record against Pakistan, with two hundred and eight half-centuries in 21 innings, should give him confidence, as will his runs in Pretoria where he averages 75.58 after 18 visits to the crease. Pakistan, who have won only one Test series out of 10 at home and away against South Africa , will have been buoyed up by their three-day run-out against an Invitational XI in the build-up to the first Test, where Azhar Ali and Babar Azam made hundreds. They have been well beaten on their previous two visits to Pretoria though, losing by seven wickets in 2007 and an innings and 18 runs five years ago. Leading fast bowler M Abbas has also been rated as having only a 50 percent chance of playing in the test as he recovers from a shoulder injury picked up in October.